After months of planning, packing, panicking and preparing we finally hit the road for our move to the Pacific Northwest! 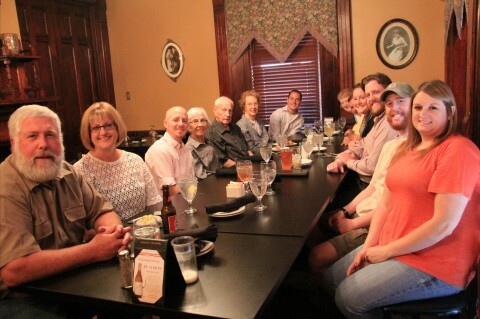 The movers packed our house Wednesday and Thursday, they loaded the truck and our vehicle on Friday, and our families met us at the Corkscrew Saloon in Medina, Ohio, for one last send-off/early Mother’s Day luncheon on Saturday. We had never eaten at the saloon before but I recommend it– my Red Bliss pierogies were AWESOME, and I managed to steal a few bite’s of my husband’s kielbasa and kraut. Yum! After we opened cards and gifts we organized everything in the back of the Grape (my 2002 Saturn SL), which was packed to the brim, and set off on the first leg of our trip. 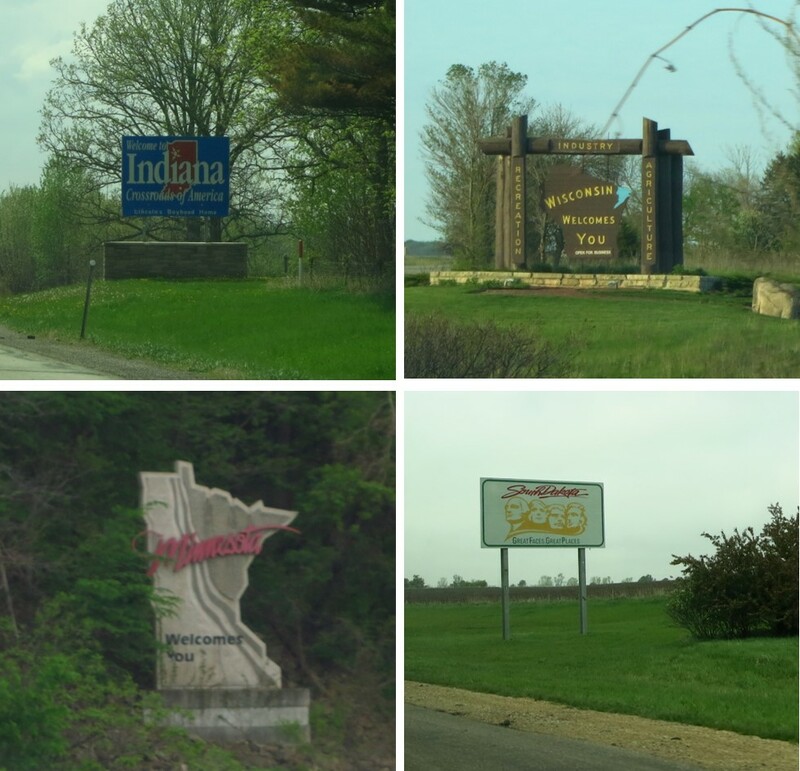 Our goal was to make it to Wisconsin by Saturday night so we could power through the Midwest, most of which we had seen before, and then have a little more time to explore once we reached the Badlands and areas of the country where we hadn’t spent much time. 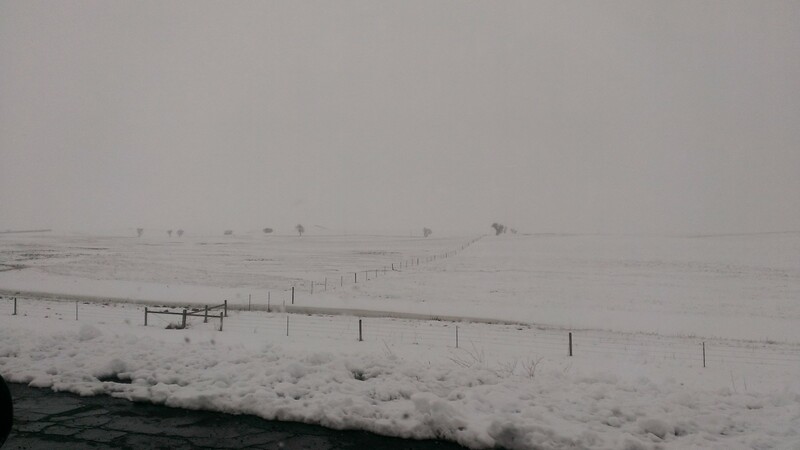 We had an easy time buzzing through western Ohio and Indiana, but as we somewhat anticipated, things started getting dicey as we headed into Chicago. I didn’t expect Saturday afternoon traffic to be quite so heavy, but I’m attributing it to the 20-miles of construction along I-90. 20 MILES! We have lots of road construction in Ohio, but I think we segment the work vs. tearing up the entire project and then slowly piecing it back together. 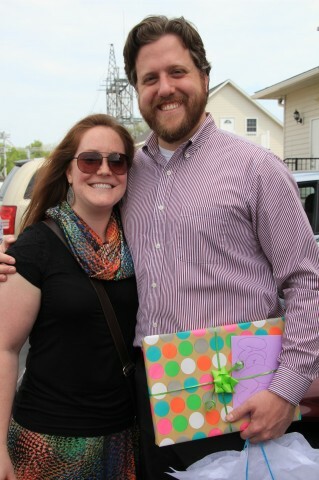 We hit our goal and spent the night in Wisconsin. We decided to stick with hotels that included breakfast so we could grab a bite, fill up the gas tank and hit the road without too many unnecessary morning stops (read: for food, drink, bathrooms or gas). My husband rode his motorcycle through the 48 continental states but I’ve only visited about 30, mostly east of the Dakotas. 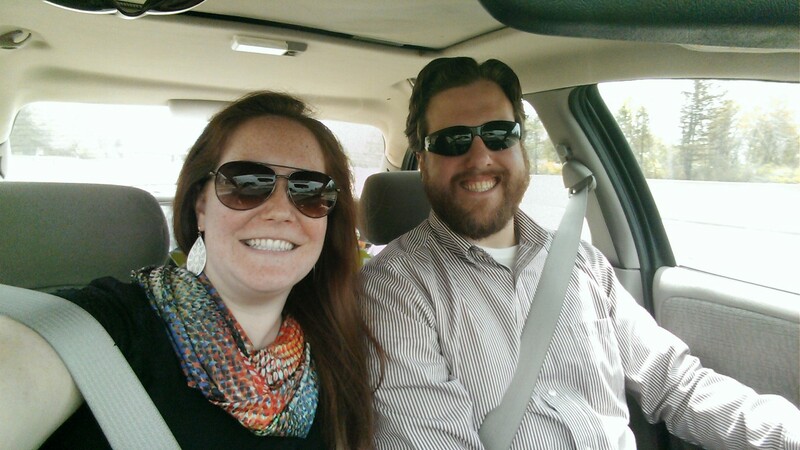 He volunteered to drive as much as possible on this trip so I could take it all in, especially the first few days before he had to get back to work, at which point I would have to drive so he could take phone calls, etc. On day two, the weather was not particularly cooperative with this plan, or any plans we had, for that matter. 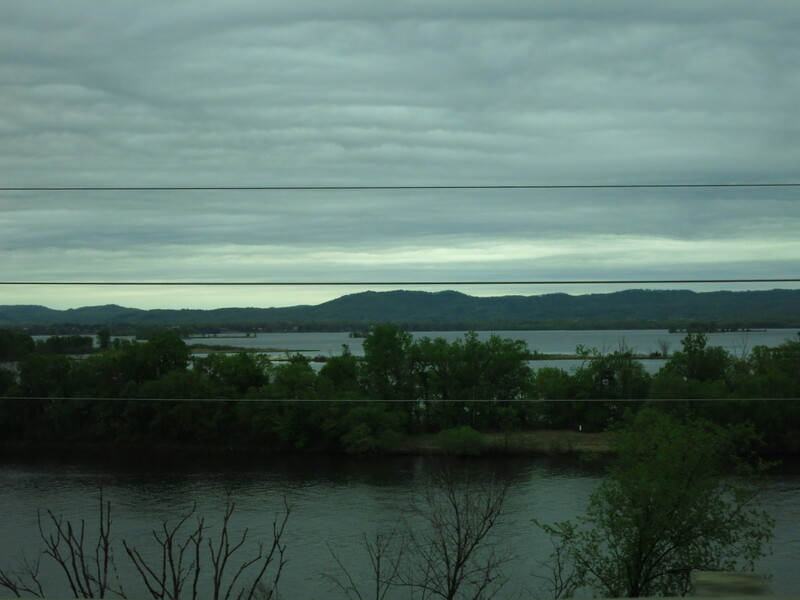 Things were good through Minnesota– a little overcast, but I loved the scenery. I can live anywhere there are trees, lakes and hills. It started to flatten out as we veered toward South Dakota with lots of wind turbines in full swing. There were entire farms of wind turbines–definitely the most I’ve seen in any one place. 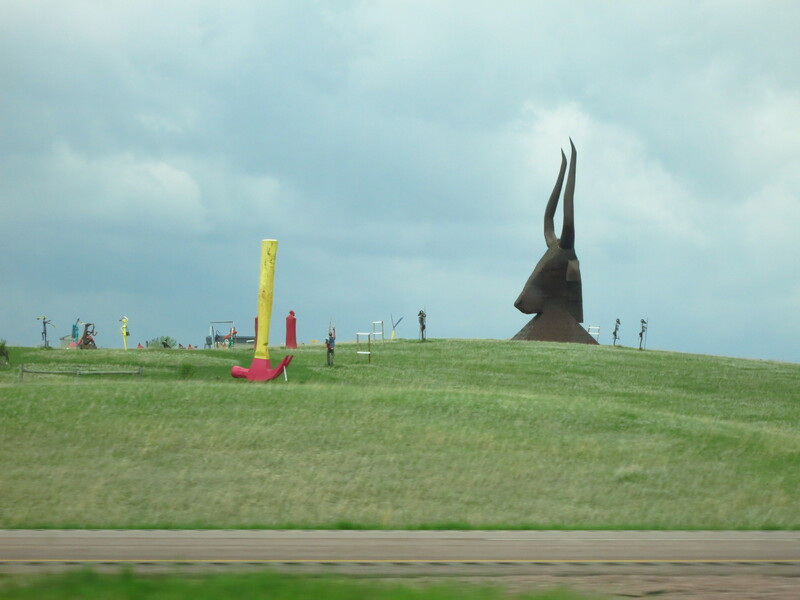 We grabbed lunch on the go and just as we entered South Dakota the Wall Drugs signs began. We lost count after 30+. That has to be the most advertised stop in the state, and that’s saying something given its competition includes Mount Rushmore, the Crazy Horse Memorial and the Badlands! Both of us have visited all of those locations so we thought we would try to make it to Rapid City and catch the Badlands on the way if the lighting was good and we could take a few pictures. Unfortunately the weather did not cooperate. As we started across the state, the weather turned, with the sky alternating between black and gray cloud, heavy wind and then an unexpected and frightening period of hail. Cars were piled up under the few overpasses–the hail was the size of 50 cent pieces–and my windshield ended up getting cracked! Our radio was constantly interrupted with severe weather warnings, including tornadoes, which ended up touching down right where we passed! 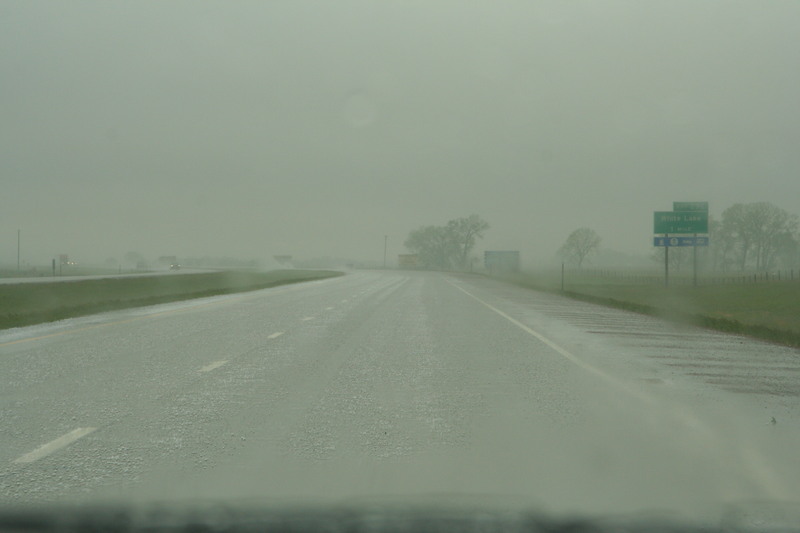 As we continued west, the rain/hail/tornadoes began to let up, and the snow began. 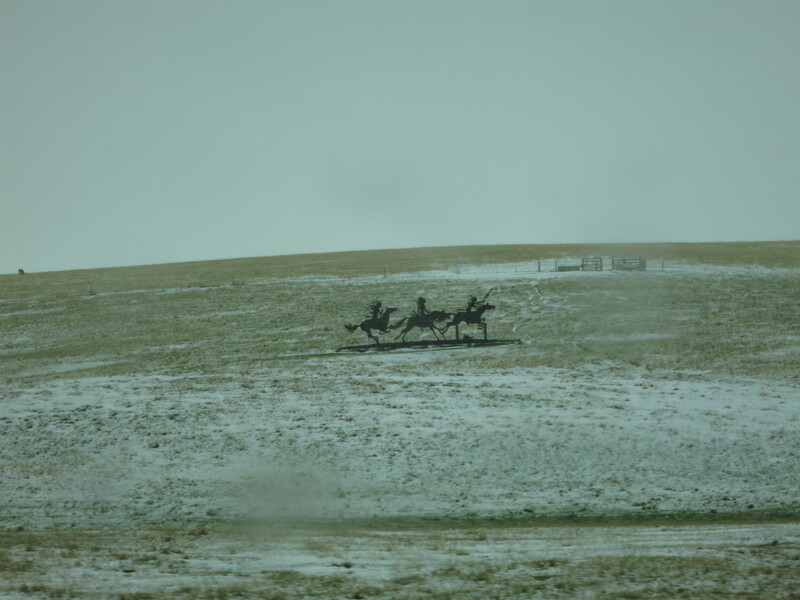 I will be perfectly honest–despite having looked over the weather and noticing the very low temperatures around the Badlands, we were not prepared for snow. 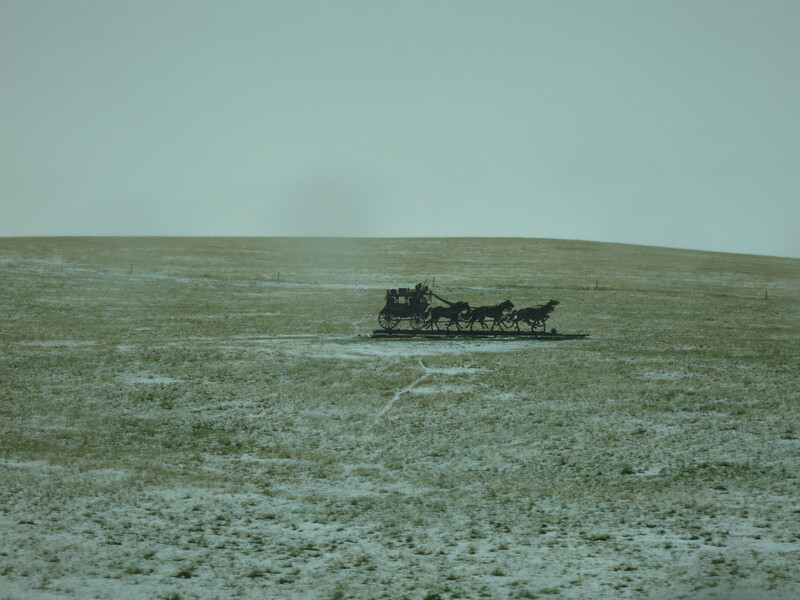 And not just snow–blizzards. To the extent that we had to pull off at an exit to buy new windshield wipers, oil and gas and review our plans. The Badlands simply weren’t going to happen. 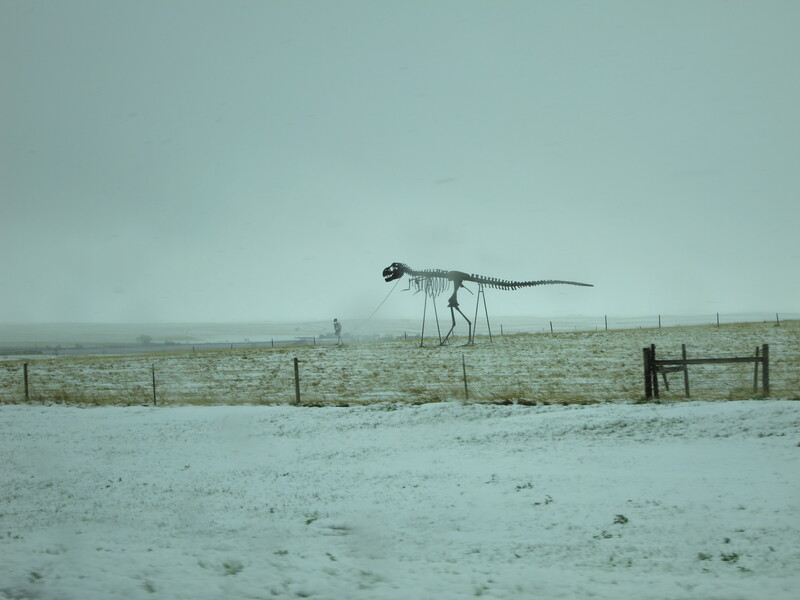 We were going to have to try to drive safely through to Rapid City and call it a day. We were both on high alert as we headed into the snow, and I am not exaggerating when I say we saw at least three dozen cars, trucks and semis in the ditch. It was an exhausting drive, but we did make it to Rapid City by dinner time and decided to call it a day. Neither of us had the energy or desire to keep driving–we decided to grab dinner, go to bed and then start out early when the weather was hopefully improved. 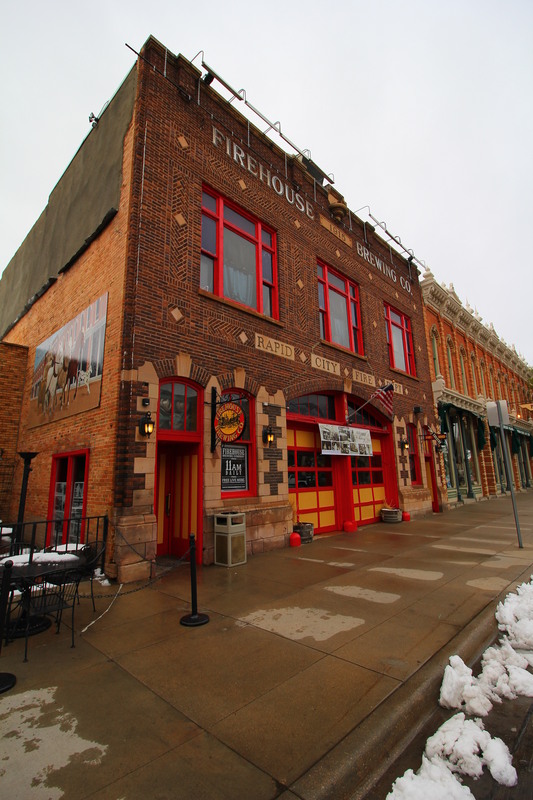 We drove into Rapid City to try the Firehouse Wine Cellars and Firehouse Brewing Company, but everything was closed. In part because it was a Sunday, but in part because it’s not peak season. We ended up at Sanford’s Grub and Pub, which reminded me of Mike’s Place in Kent, Ohio, with the eclectic interior, winding areas of seating and extensive menu. Our food was food, but we were ready for bed, hoping the entire trip wasn’t going to be quite so intense. An interesting start to our cross-country adventure!